The Beneteau First 31.7 designed by Group Finot represents a real act of faith on the part of the designers and the boatyard. 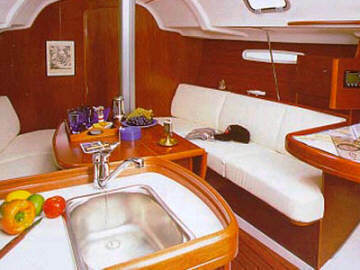 As always this Beneteau design boasts elegance and safety in an impressive performance cruiser. 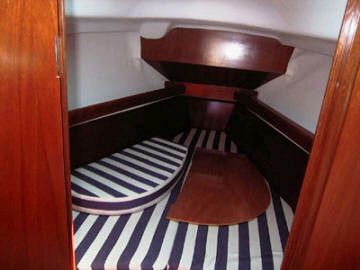 The First 31.7 has accommodation for four people in two private double cabins. There is one head with a shower and an additional on-deck shower. 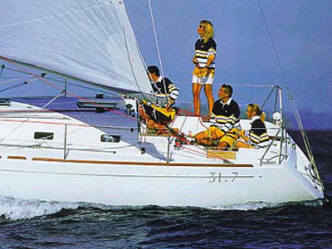 The Beneteau First 31.7 has a mainsail with lazy jack, furling genoa, tiller steering and an electric anchor winch. 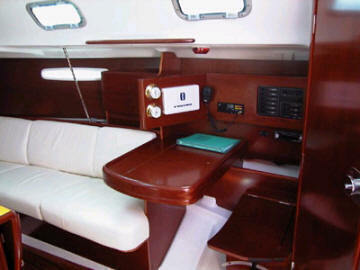 Navigational and nautical equipment includes GPS, autopilot, chartplotter and VHF radio. 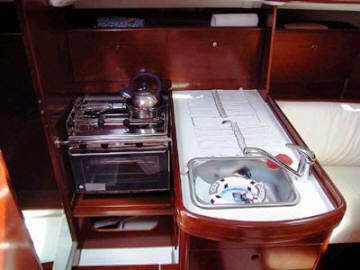 There is a bimini and dodger, an ondeck shower and AM/FM radio & CD player. 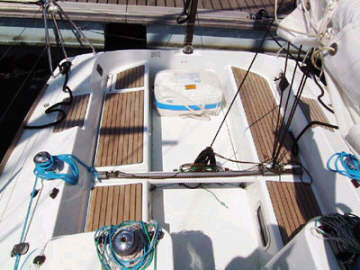 fully equipped galley with LPG stove & oven, fridge/freezer, pre-charter cruising guides, full boat and chart briefing.